Since 2000, Metal Pro, Inc. has been Phoenix’s premier shop for metal fabrication projects of all types, big and small. Thanks to our highly experienced staff and state-of-the-art technologies and resources, we’re able to deliver nothing short of the highest quality results when it comes to plasma and flame cutting, tee rolling, angle irons, channel tube piping and more. With over 43 years of metal fabrication experience, Haverhill graduate and company founder Jim Tyler opened Metal Pro Inc. in 2000 and since then, we haven’t looked back. Today, Metal Pro leads Arizona in performing flawless and precise manufacturing techniques to process customized metal projects and national orders. Our crew is comprised of highly skilled individuals with a tremendous amount of experience in the fields of drafting, sheet metal layout techniques, materials handling systems, ventilation, safety supervision, welding, plasma and torch cutting. Whether it’s rolling or cutting, shearing or sawing, know that our staff has the years of experience and hands-on metal fabrication know-how required to take your project in the direction it needs to go. 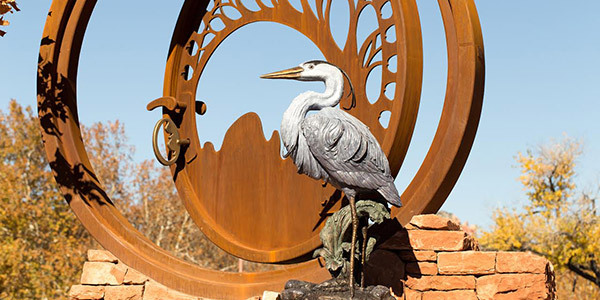 What sets Metal Pro, Inc. apart from other custom fabrication shops in Phoenix, AZ is our ability to work across a variety of mediums to produce superior results. From 20GA sheet to 3″ plates of mild steel, galvanized steel, stainless steel, aluminum, copper, brass and all shapes of steel pipe and tubing, our range of experience is encompassing and unmatched. No matter what the scope of your custom metal fabrication project here in Phoenix, AZ, know that Metal Pro, Inc. is here to deliver. Our scope of custom fabrication services are expansive and encompassing. We’re available in the evenings and weeks by appointment. We use only state-of-the-art technology to produce high quality results. Our project pricing and service charges are competitively rated. We’re a locally owned and operated business! No matter how big or small your metal fabrication project is, we do it all. If you can imagine it, we can fabricate it! Contact the custom fabrication professionals at Metal Pro Inc to get started today! When you’re looking for exceptional results on your unique fabrication project, know that Metal Pro, Inc. is here to deliver nothing short of perfection!